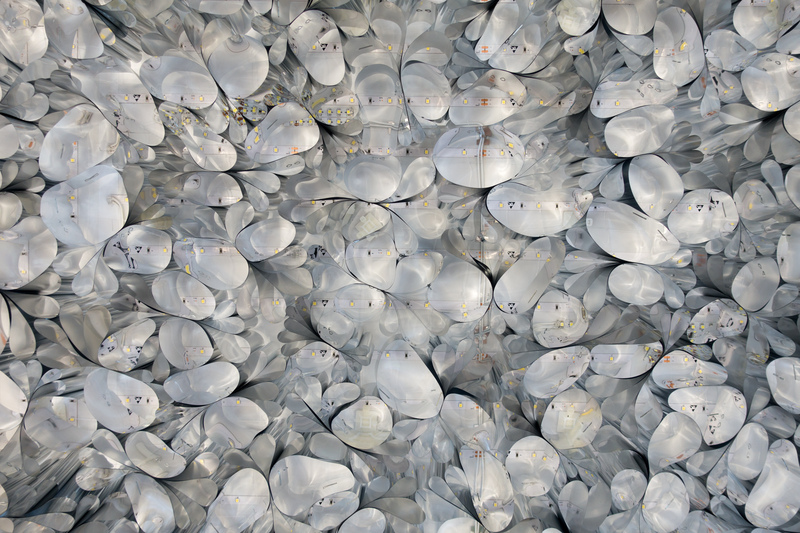 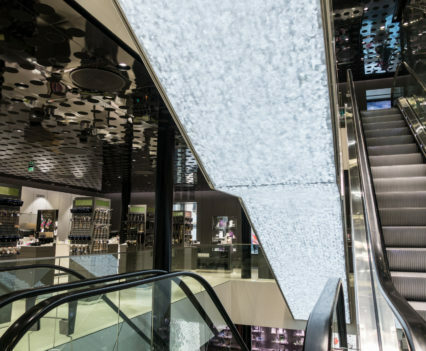 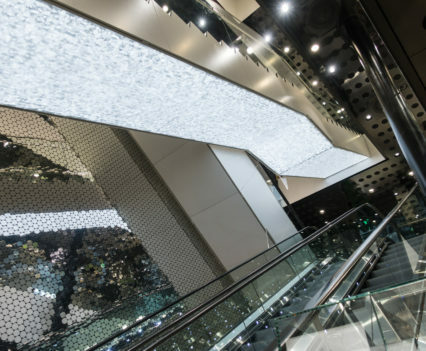 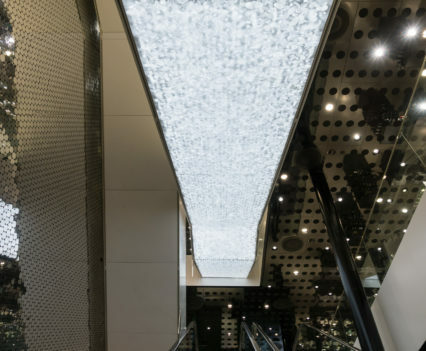 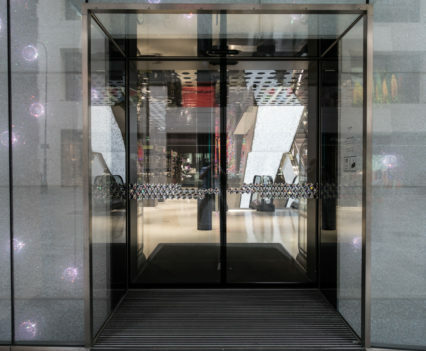 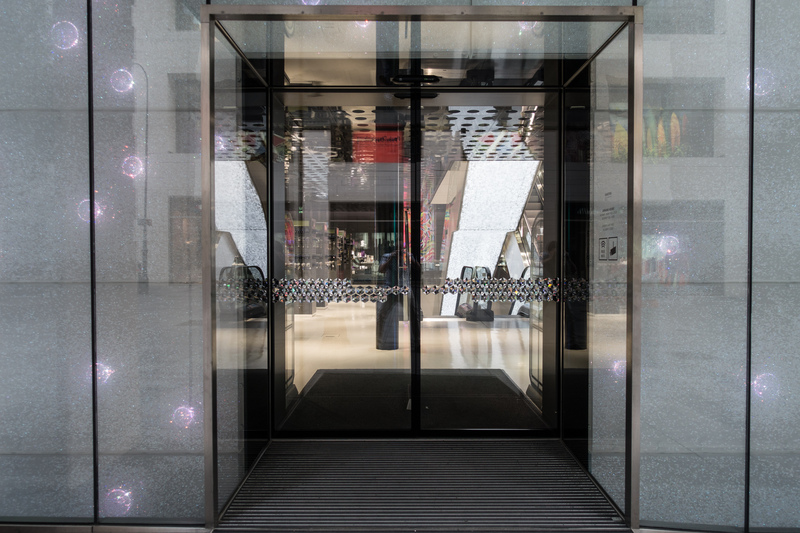 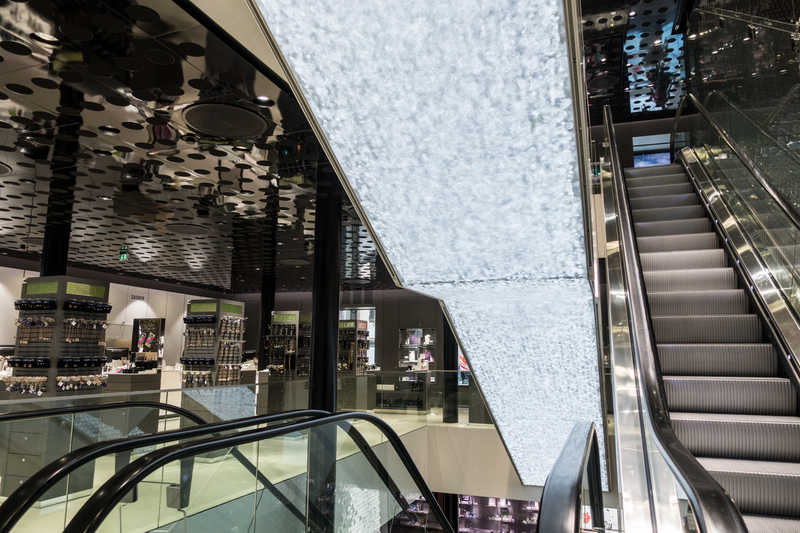 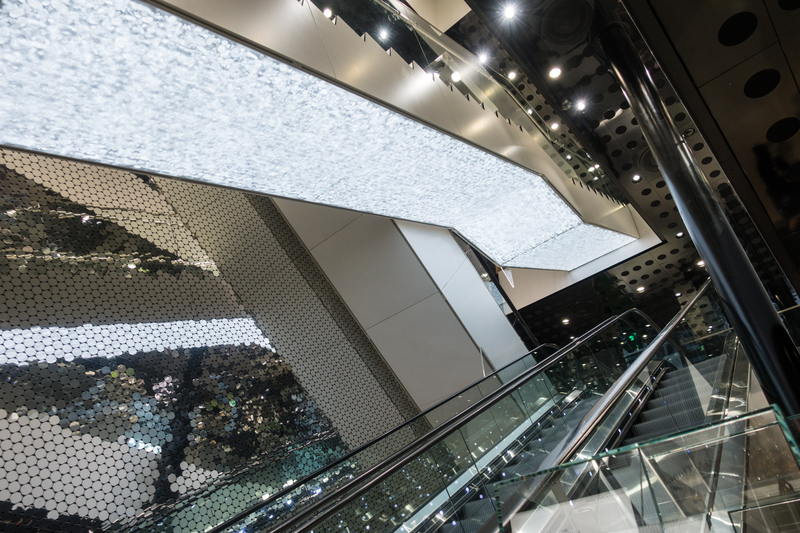 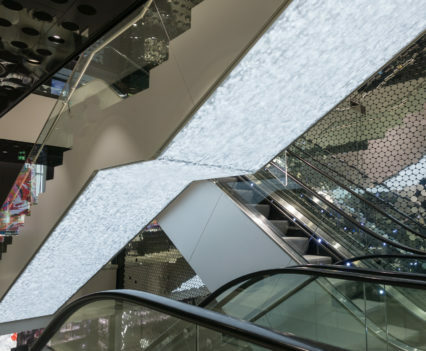 After working with Swarovski in 2013 on a Futuring Workshop to explore design ideas around sustainable innovation we were invited to develop, fabricate and install a permanent light artwork in the Swarovski Kristallwelten Store Vienna with the most minimal of materials and intervention. 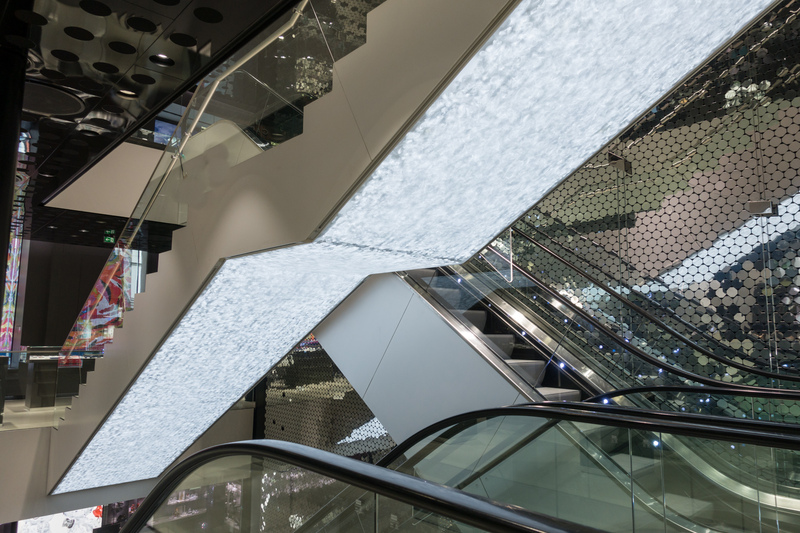 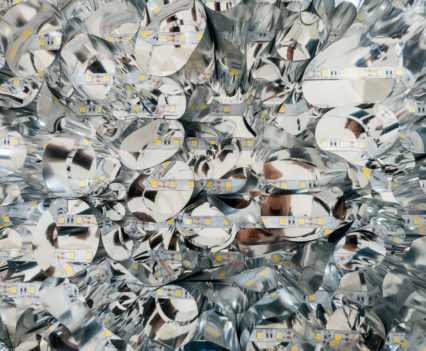 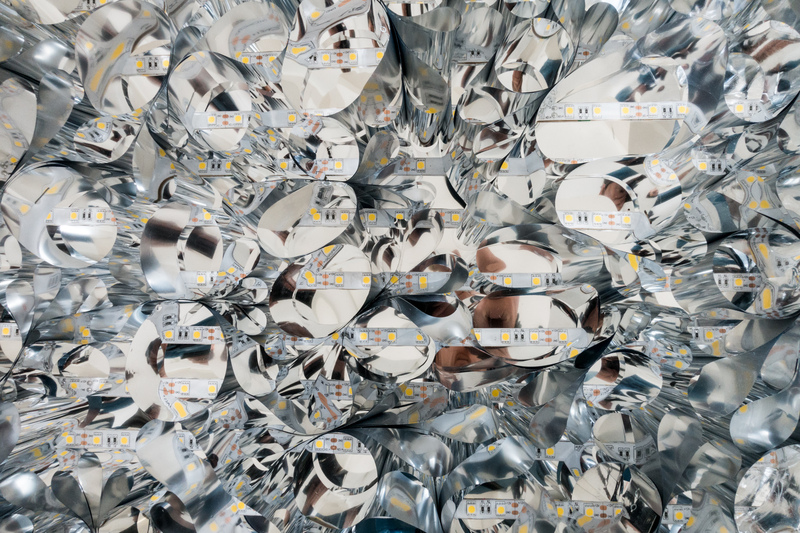 The bespoke light artwork was integrated into the ceiling of the Kristallwelten and was comprised of a network of curved and reflective optical filters combined with animated LEDs. 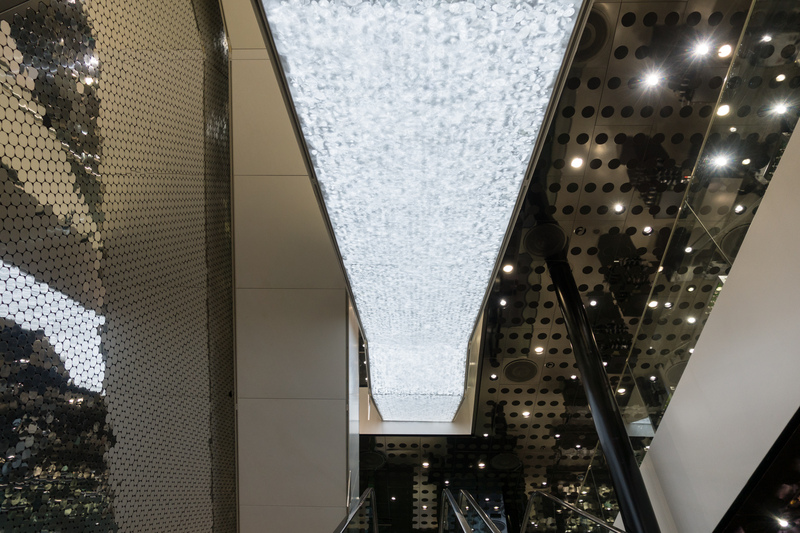 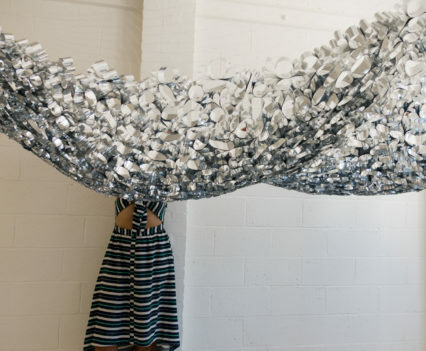 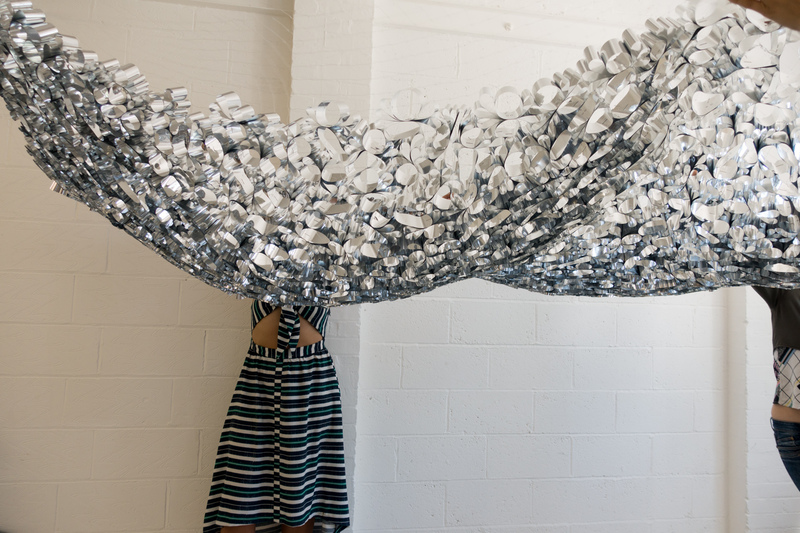 This created a visual effect reminiscent of the reflections in moving water. 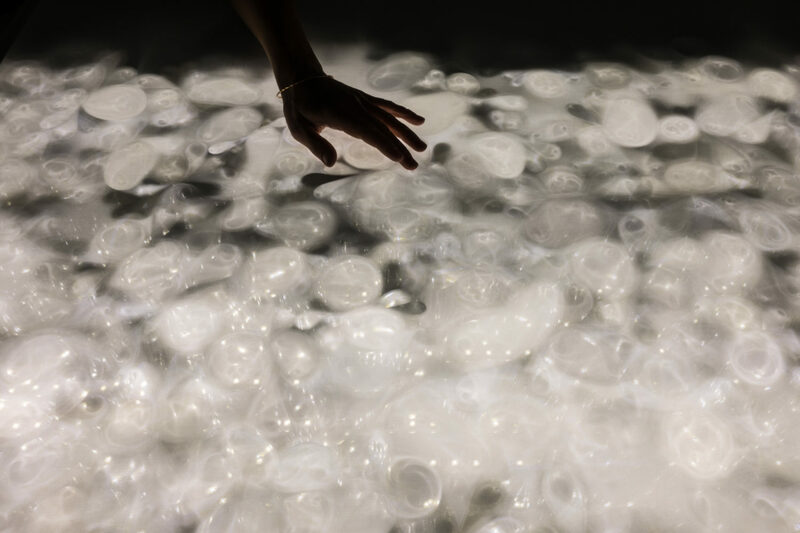 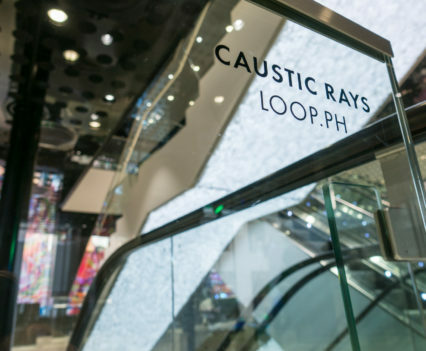 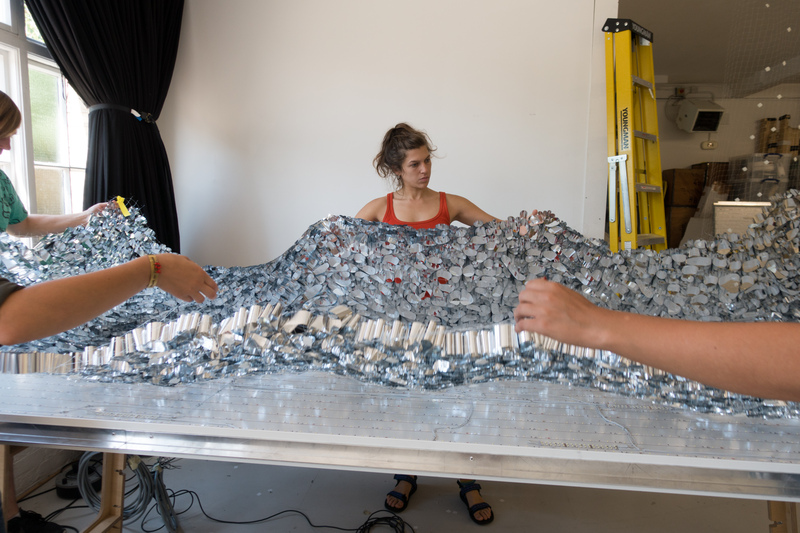 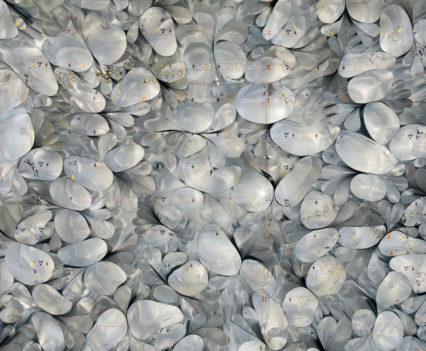 As we specialise in creating physical and material installations inspired by a scientific practice, we studied the field of optics and caustic networks. 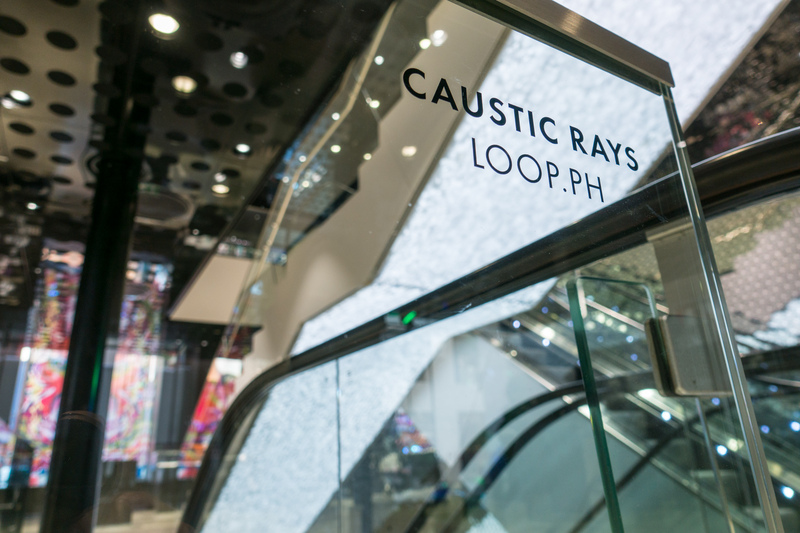 Share the post "Caustic Rays"